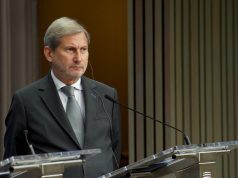 BRUSSELS – Even though some problems could be seen from time to time, great progress was made in the Western Balkans, said Commissioner for European Neighbourhood Policy and Enlargement Negotiations Johannes Hahn at the last AFET meeting. Talking about the progress he said that the progress should be observed through a longer time frame, that is why he sees progress in the rule of law, economy. “Our vision is to create a certain level of wealth and try to reduce this gap because it could be problem in Western Balkans. In addition our strategic goal is to promote economic development”, explaines Hahn. Regarding the issue between Pristina and Belgrade he hopes both parties would get over it. A solution to this question and the goal of it is legal agreement between these two countirs which would be pre condition to many regional projects. 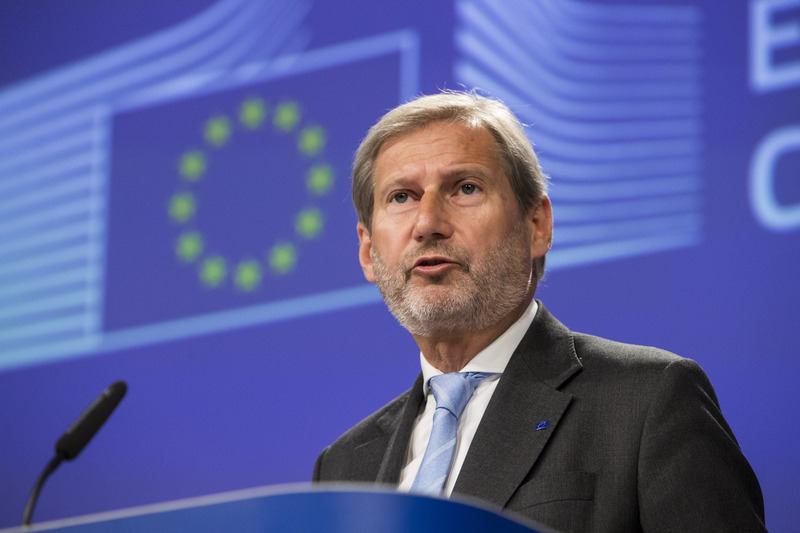 Hahn remindes that EU decided not to accept new members until they resolve the problems they are facing with. This was something EU learned from the previous enlargement. “But if our partners fulfill all criterias and brenchmarks in the beginning of the accession progress, well, we need to act positively. I expect on the basis what we observed that we would make a recommendation for North Macedonia and Albania regarding the date of the accession negotiations”, underlines Hahn. Due to that it is important the EU’s credibility in delivering. “EU accession of the Western Balkans is in our own interest, which is why is important to export stability and foster reforms. Serbia and Kosovo need to resolve problems before joing the EU was of the conclusions AFET mission pointed out at its last meeting held in Brussels. Mission spent day and a half in both coutries where delegates met with position and opposition representatives, but also with diplomats and civil societas. In both places they underlined the need for the dialouge and agreement which would be mutually accepted and in line with international laws. They reiterated that Serbia and Kosovo need to remain multiethnical. In Serbia they gave a full support towards its path to EU, stressing that more progress is required particulary in aeras such as rule of law media and freedom. Even though there is a progress in Serbia, the last EK report claimed that no progress was media when it comes to media freedom. As for the Kosovo, they reiterated the EP’s support towards visa liberalization, adding they welcomed the past progress and reforms in the field of rule of law, reminding that implementation of these reforms would determine their success. The main problem in Kosovo is the economy, where things have not be improved. AFET mission visited these two countries in the light of political crisis in Albania and the ratification of Prespa agreement in North Macedonia. In North Macedonia they met with opposition as well. There is a political dialouge and both parties established two working groups. Their focus are following Presidential elections which should be free, fair and transport. In addition the progress which is noticed in North Macedonia will be strengthened. “Changes are visiable and the ambition to get the date for accession negotiations should be supported”, conludes AFET mission to Albania and North Macedonia.